Check-in will take place Thursday May 4th, 2017 from 3pm-7pm. RoomKnights is the official AMP for the 16U East Waterloo Nationals. All bookings must occur through the RoomKnights booking portal. 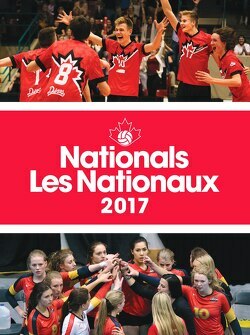 Once complete, you will receive a registration confirmation email that includes a unique team code and a link to book the team’s accommodations. Any feedback on the seeding must be submitted to Sandra de Graaff at competitions@volleyball.ca by Tuesday, May 2nd at 11:59pm EST. This will allow us to review the material, follow up with the PTA, and update the information in a timely manner for all teams. Full weekend event passes are available at a discounted rate of $25 until Thursday April 27, 2017 at 12PM. Online event passes will be available at full price ($30) until 12:00pm ET the Monday preceding the event. Photography Services: Digital Sports Photography (DSP) will be providing photography services at this event. DSP will be offering team game coverage ONLY through PRE-ORDERED packages. Pre-order your team photo coverage package​. Congratulations to our 2017 16U East All Stars and MVPs.